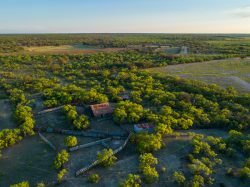 The Ford Ranch located 11 miles west of Brady, the geographical “Heart of Texas”, is one of the largest contiguous hunting and cattle ranches in Central Texas spanning three counties and covers more than 32,000 acres of live oak covered grasslands. 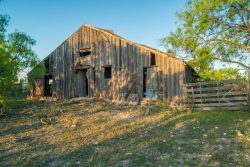 This was famous Texas A&M 1895 graduate G. Rollie White’s home ranch who came “crawling into” McCulloch County at age 1 with his parents in a covered wagon in 1875, leased the Ford Ranch and later purchased it in 1902. 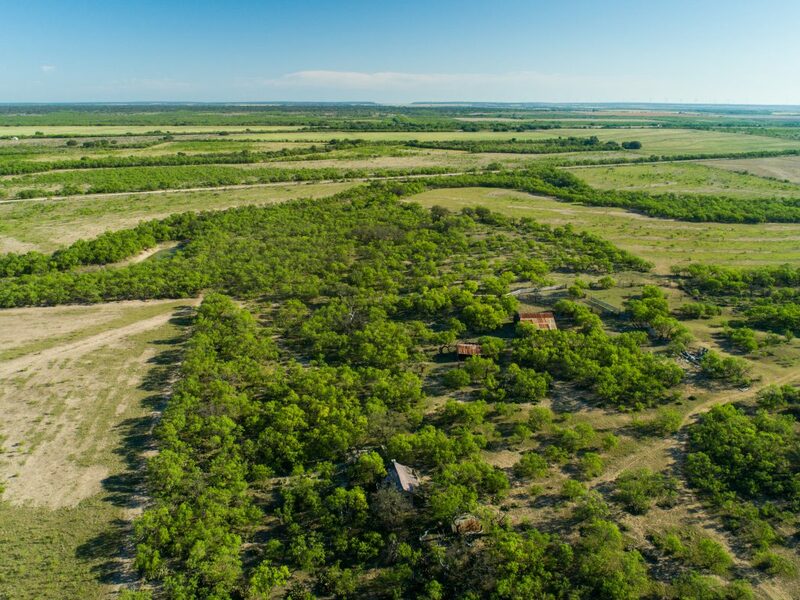 The 2,830 ac Ford-Lightner Ranch is the northwest corner of the famous Ford Ranch fronting on paved FM 2028 and County Road 128 to the north which was the old Fort Worth and Rio Grande Railway grade and where the abandoned townsite of Lightner was located. The Lightner community was established about 1911 and had a post office till 1918. Lightner had a grocery store and a population of thirty-five in 1914. By 1936 the community consisted of a dwelling and a few farm buildings, and by 1960 only the name of the locale remained. The Ranch is just a few miles south of Melvin, Texas famed as home to Jacoby’s Feed and Seed and their great café/ranch store. 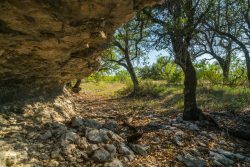 Ford-Lightner Ranch was once called the Ford-Henderson Ranch which is a combination of Central Rolling Red Plains fields and Edwards Plateau limestone hills. 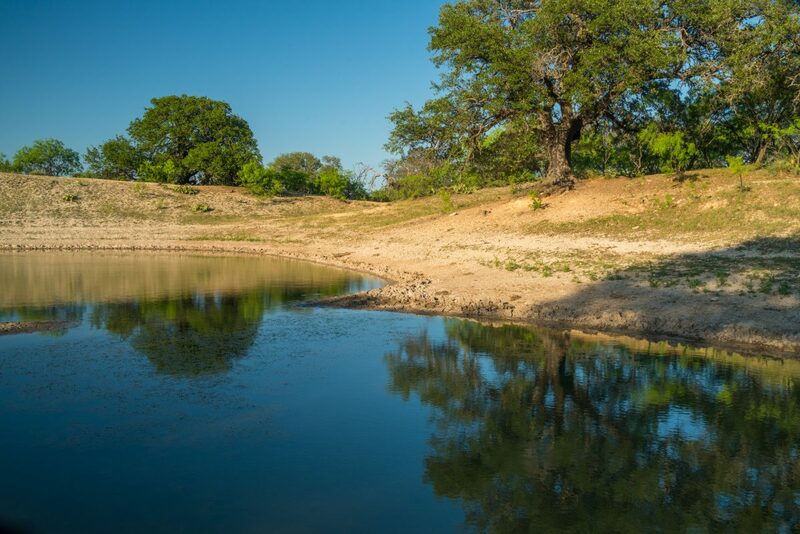 Reubes Creek runs west to east through the north part of the ranch which has semi-permeant pools with large mesquite and oak lined wooded banks. 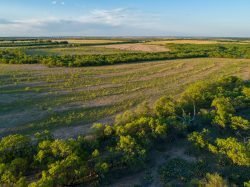 Elevations range from 1,875 feet to 2,000 feet with excellent long views from the hills on the south looking north over the fields and pastures on the ranch. 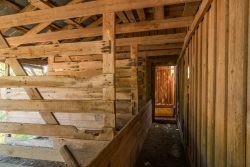 The old community of Lightner is now a variety of old houses, barns and outbuildings some of which if restored could provide for a unique headquarters setting. 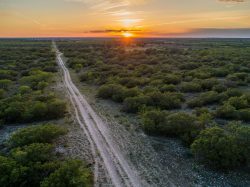 An improved caliche road from the entrance on FM 2028 to the old headquarters provides excellent year-round access. 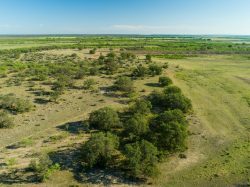 The main north south drainage on the ranch has several dirt tanks (one a large Soil Conservation Reservoir) and huge century oaks and mesquites in a rolling hill county landscape that is classic Edwards Plateau ranchland. 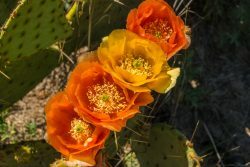 Ford Ranch has over 100 years of excellent land management practices and today its rangeland is the beneficiary of decades of rotation grazing and wise land stewardship. 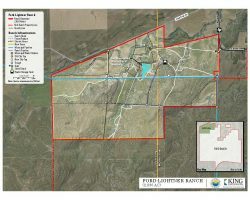 There is an excellent set of pens, several pastures and traps that make the Ford-Lightner Ranch a working cattle operation. 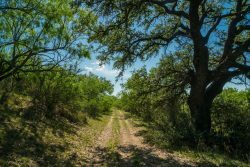 The ranch is predominantly native rangeland and supports mixed grass communities with oak and mixed brush savannah. 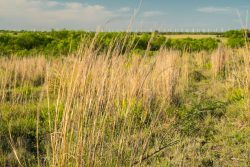 It has a good diversity of palatable native grasses, with the predominate grasses being Texas winter grass, mesquite grass, several varieties of grama, bluestem and a favorable mix of forbs, filaree, wild rye and winter weeds. In the past, approximately 200 acres were in cultivation and has now been seeded to established stands of improved grasses. 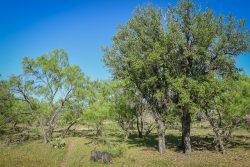 The Ford-Lightner Ranch has a scattered to dense canopy of brush and trees, principally being live oak, shin oak, mesquite along with agarita, persimmon, plum, pear, ephedra and lotebush. Little bluestem is found in abundance throughout the rolling limestone hills, a testament to its historic excellent grazing practices. 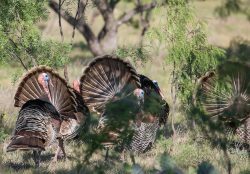 The ranch is known for its tremendous Whitetail deer and Rio Grande turkey population as well as its upland and migrating game bird habitat for bobwhite quail, morning dove and waterfowl. 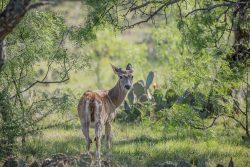 Axis deer and fallow deer are also present as well as several other game and non-game animals including bobcat, javelina, hog, coyote, badger, and armadillo. Ford Ranch was home to the legendary Brady Buck shot in 1890 with 78 non-typical points scoring 284 3/8ths B&C. 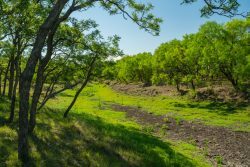 Neotropical songbirds and hummingbirds are abundant and in wet springtime months the grasslands are covered in hill country wildflowers. 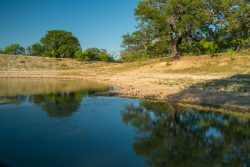 Through a prior purchase in the 1970s from the White family the City of San Angelo owns and operates the Hickory Aquifer as a municipal water resources for the benefit of the citizens of San Angelo. 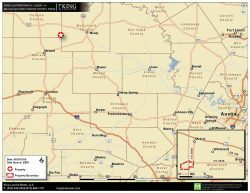 Seller reserves groundwater rights in the Hickory Aquifer but will convey groundwater rights in the Ellenburger-San Saba aquifer and the shallower groundwater formations under the entire property, along with an existing network of pipelines that can be used to move water across the ranch. 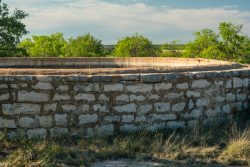 There are no Ellenburger-San Saba wells on the ranch, but wells completed in the area show that the formation has the potential to supply excellent ranch wells in the 50-75 gpm range. Seller will also convey all of its interests in surface water on the ranch, which includes flows in Rubes Creek. 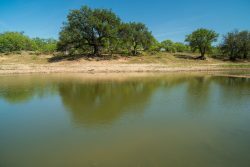 An existing reservoir on Rubes Creek provides another source of water for domestic and livestock watering, with room in the watershed within the ranch for the potential creation of additional reservoir structures. 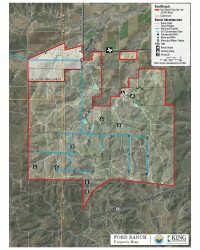 Seller will retain 50% of minerals owned. 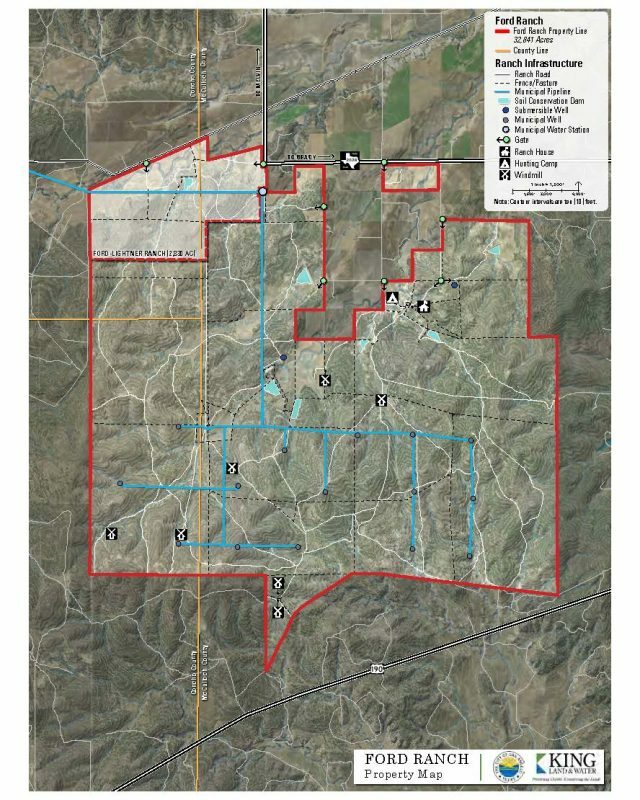 Seller believes they own 25% of the mineral on the Ranch. 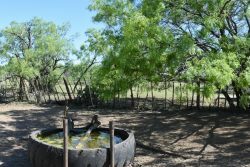 There are active shallow oil wells adjacent to the ranch. 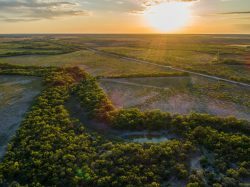 The City of San Angelo owns the Ford Ranch and intends to protect its reserved groundwater resources by placing Deed Restrictions on the Ford-Lightner Ranch that will limit subdivision while retaining its agricultural and recreation heritage. 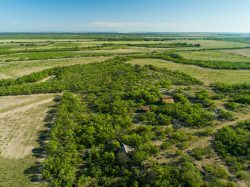 This Ranch offering is subject to prior sale, change in price, or removal from the market without notice. While the information above was provided by sources deemed reliable, it is in no way guaranteed by the broker or agent.